The Kia OPTIMA is a sedan known for its many amenities and roomy back seat, while boasting of 5 out of 5 star crash rating from the NHTSA. 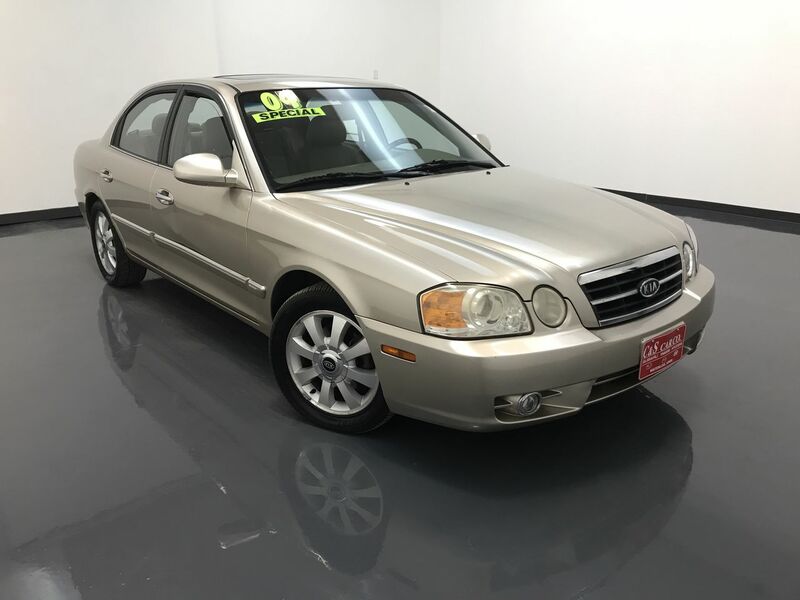 This 2004 Kia OPTIMA EX has leather interior with power assisted front seats, keyless entry, traction control with anti-lock brakes, a sunroof, 16" alloy wheels, wood grain interior accents, and an AM/FM/CD sound system with cassette tape. Call C & S Car toll free at 866-212-8718 or locally at 319-291-7321.